for $350,000 with 4 bedrooms and 3 full baths, 1 half bath. This 2,740 square foot home was built in 1996 on a lot size of 0.5120 Acre(s). 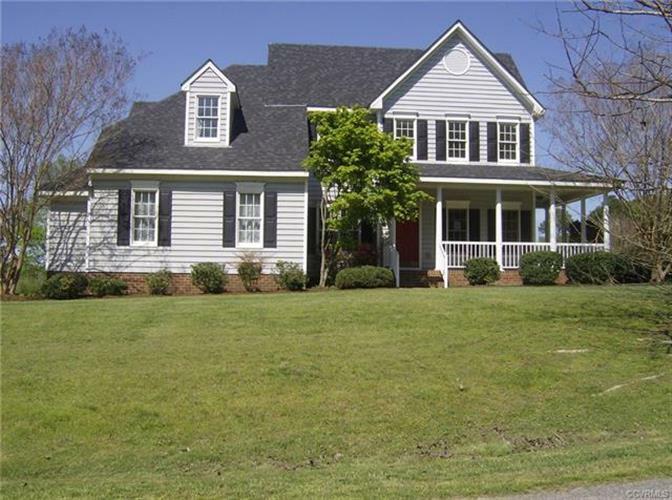 Transitional 2-story with 2740+/- sq.ft. of interior living space, plus a front/wrap around porch, deck, brick patio and upper balcony to enjoy outside! Plus, a 2-car attached garage w/ pedestrian door and opener. 4 bedrooms/3 full baths/1 half bath, laundry/mud room between kit. & garage w/ cabinets. Features formal living & dining rooms, large family room w/ 2 story ceiling, fireplace & deck access all open to the kit. & casual dining area w/ access to screened porch. 2 Master bedrooms suites - one downstairs w/ cathedral ceiling/private bath and 2 closets (wlk-in and dbl. shelved) and one upstairs with cathedral ceiling, priv. bath and walk-in closet. 2 more bedrooms - one w/ access to walk-up attic storage. 2-zone heat pump and central air, sidewalk & paved driveway, too. Pretty rear view of former golf course pond.